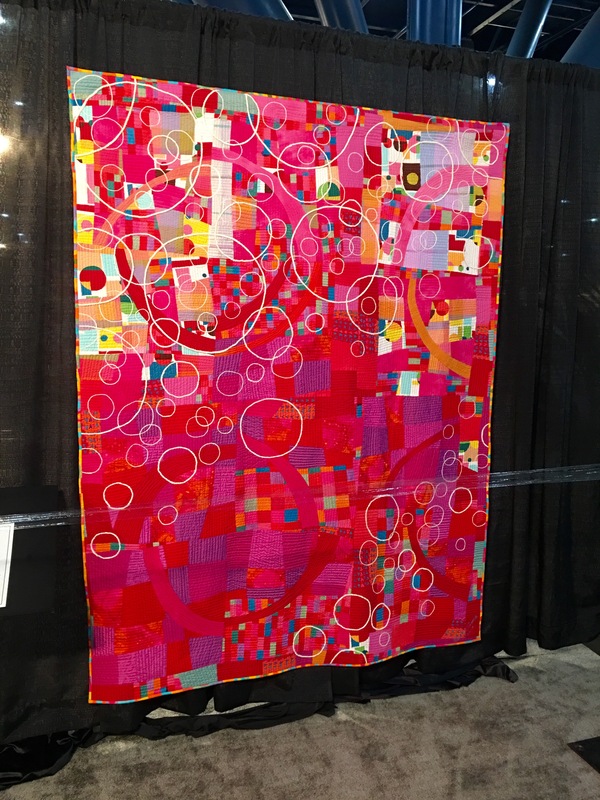 Quilt Featival Houston falls right after Quilt Market, but the show is up during Market. So after a long day of walking the Market show floor, we found one last burst of energy to view the show. The work is stupendous and the show is huge. The range of categories is vast, and there is something for every type of quilter. I am highlighting a few of my favorites here. I love the composition and contrast of “Conflict No. 1” in the Turmoil category by Judy Tipich of Maryland. The color is perfect, the conflict is clear, and this is a beautiful piece of art. 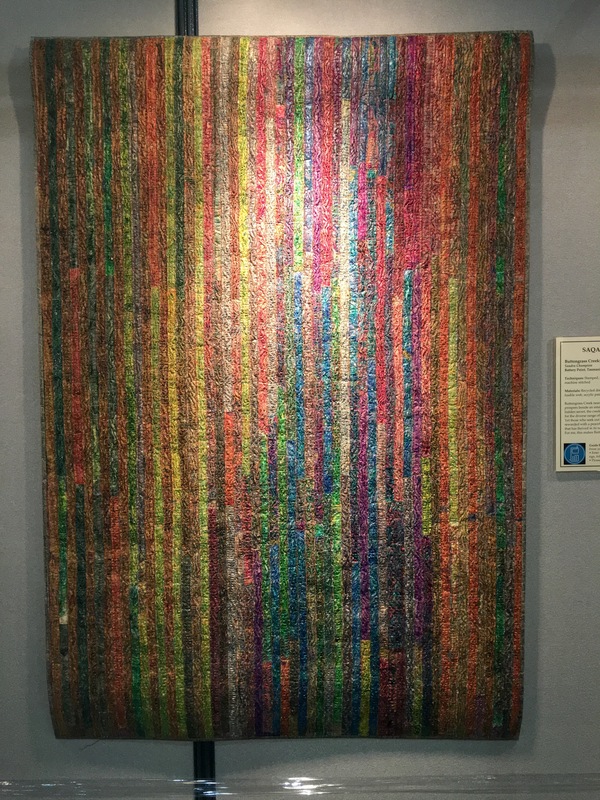 This Mixed Media piece, “Buttongrass Creek: Winter Walk” by Sandra Champion from Australia, looked like a carpet to me. It has a weight and texture to it that I don’t often see in quilts. 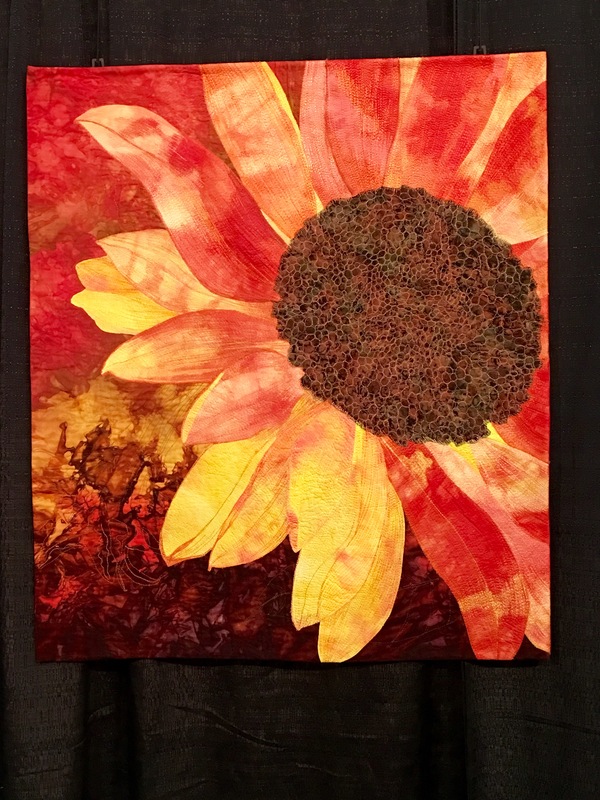 She used pattern tissue, fusible web, silks and acrylic paint to make this masterpiece. 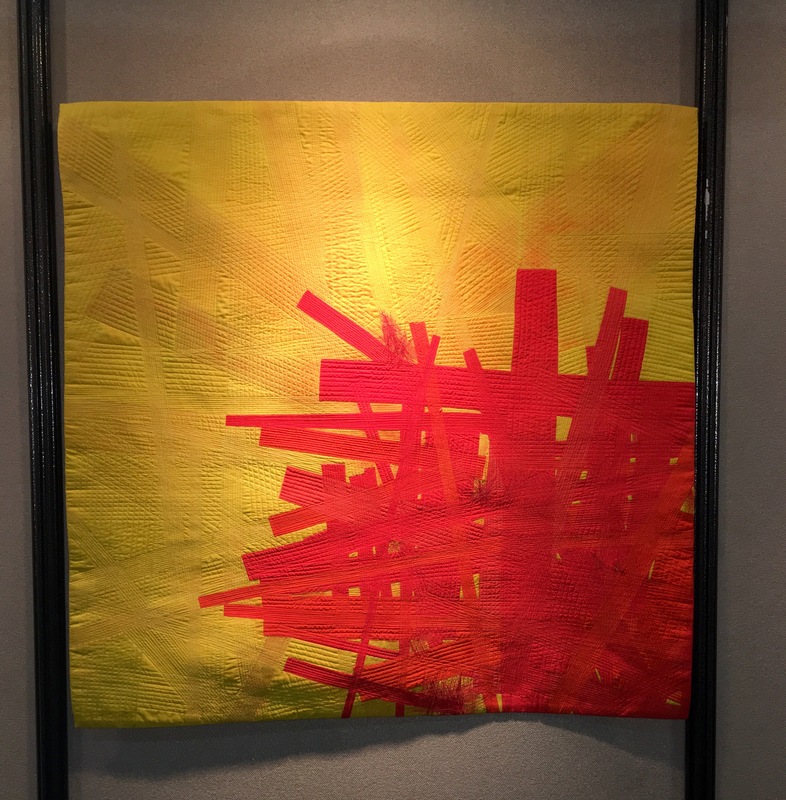 This colorful stunner caught my eye and called my name when I was in the hallway of the convention center. 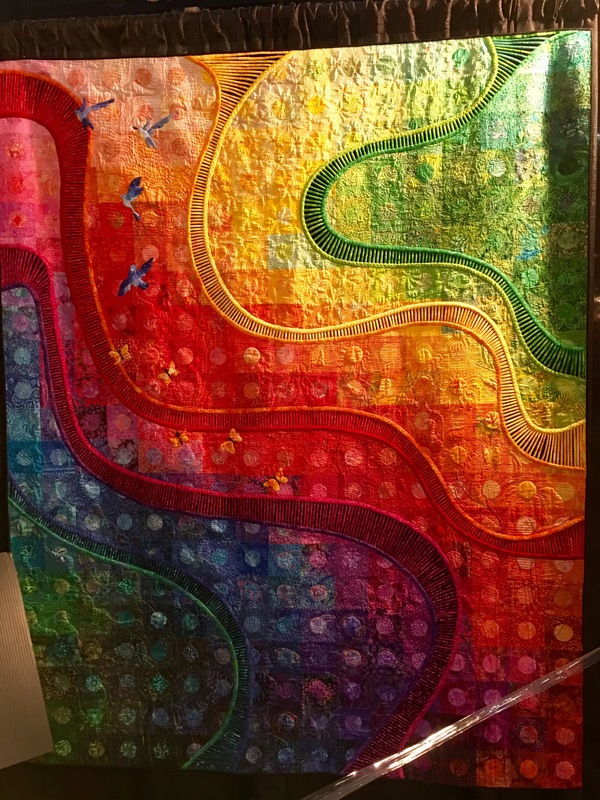 “Birds fly” by Barbara Lies of Illinois uses machine piecing and appliqué to create her color study. 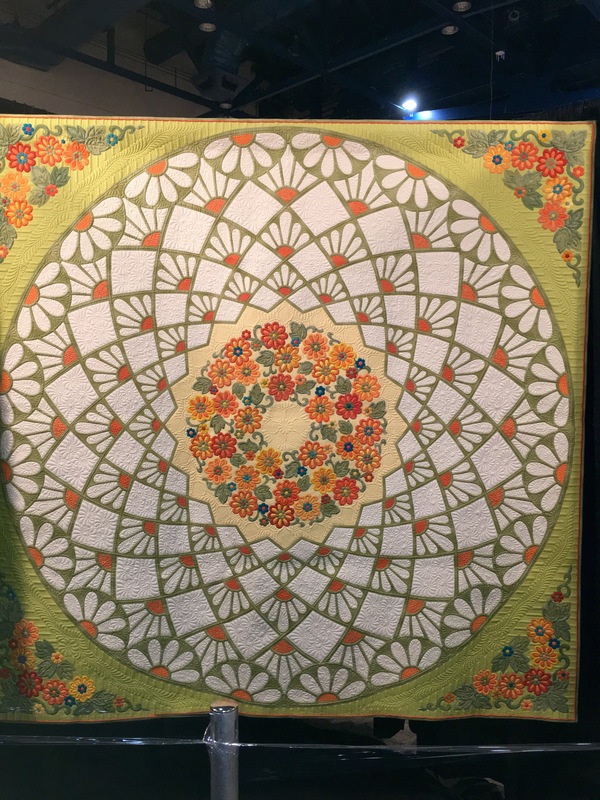 I am working on a daisy quilt, and “Moonflower” by Molly Hamilton-McNally of California immediately put mine to shame. This has so much design, and technique, and visual interest. Even the nuances between the greens she chose are perfect. While we are in the flower realm, wow. Do not adjust your screen, and no, this is not a painting. “Following the Sun” by Marilyn Wall of South Carolina, was inspired by a photo of a friend’s garden. 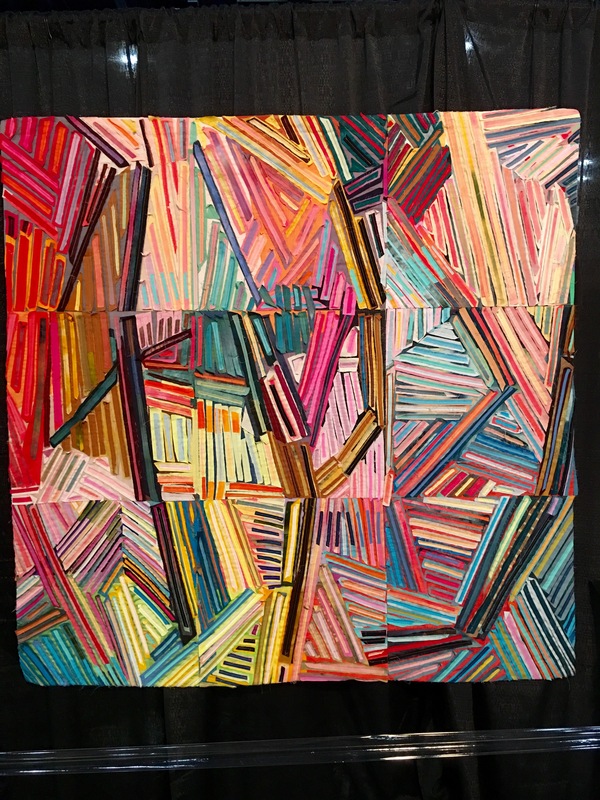 “Terminus” by Christine Alexiou is another beautiful landscape that it is hard to believe is created by fabric. 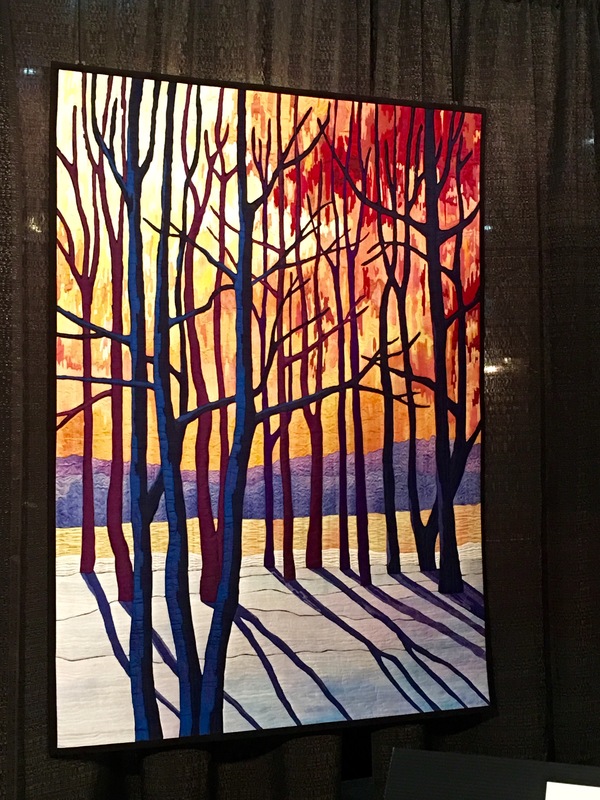 She was inspired by Group of Seven paintings of Ontario landscapes. One more landscape caught my attention. 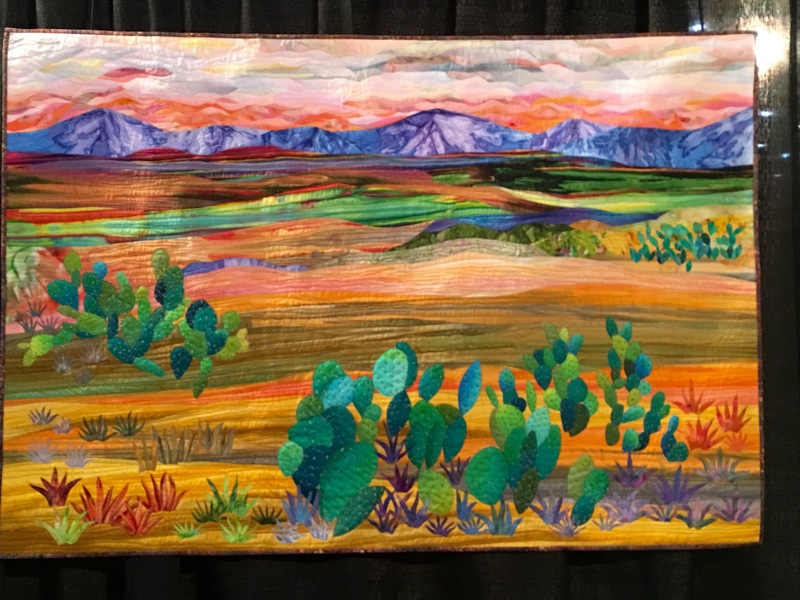 “Prickly Pear on the Prarie” by Shirley Gisi of Colorado captures the ideal desert scene. She wanted to create a sense of depth and I think she did on multiple dimensions. 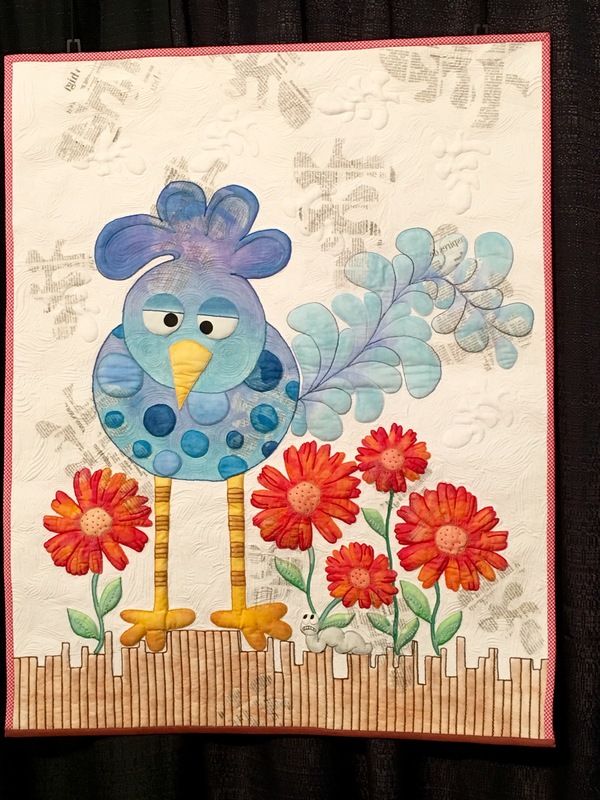 This whimsical quilt, “Blue Dodo” by Margarita Korioth made me happy. There is a lot of handwork packed into this and it is very special. Another whimsical quilt that I really enjoyed was, “Obsession” by Tonya Littlemen of Texas. Her pooch loves tennis balls so she has some hanging from the bottom. She managed to combine two of my favorite things in one piece. Cool! Tennis balls aside, it is a great quilt with tremendous craftsmanship. This quilt spoke to me. “Soap Bubbles” by Keiko Goke of Japan is so intricate and so rich in color and texture that I could have looked at it for an hour. The bubble pieces themselves are dimensional and I am not quite sure how she did it. I have experimented a bit with string quilts, but have not come close to anything like this. “Chaos No. 3” by Ril Vincent of Canada is a stunner. I love the graduation of color and the block construction. It is for sale and I wish I had checked on the price. 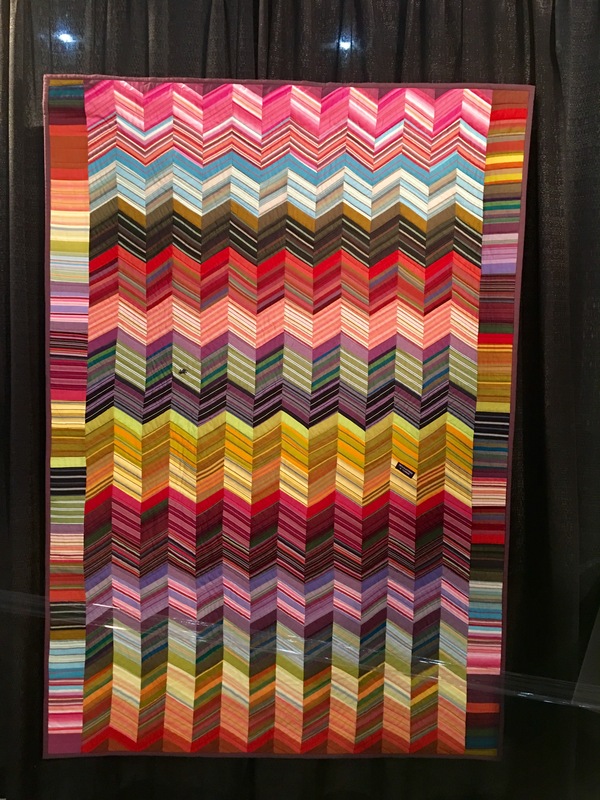 Can you believe this is made of striped shirts? “Rosita” by Cecilia Koppeman from Argentina made this after a Kaffe Fassett class. It is awesome and I love that she left in a few details from the shirts. 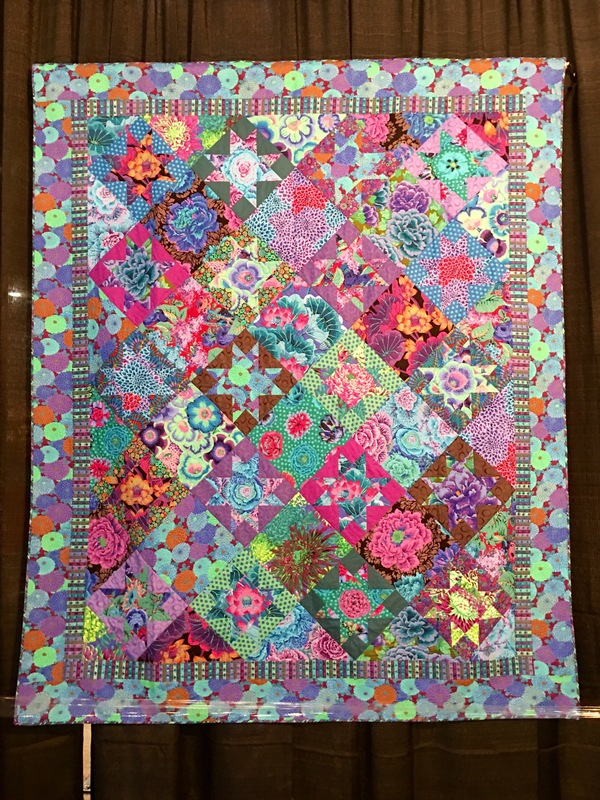 And having mentioned Kaffe, here is “Blue Ohio Star” made by Kaffe Fassett and Liza Prior Lucy of the U.K. Phenomenal. I see different colors every time I look. The composition is so bold and should not work, but it does. 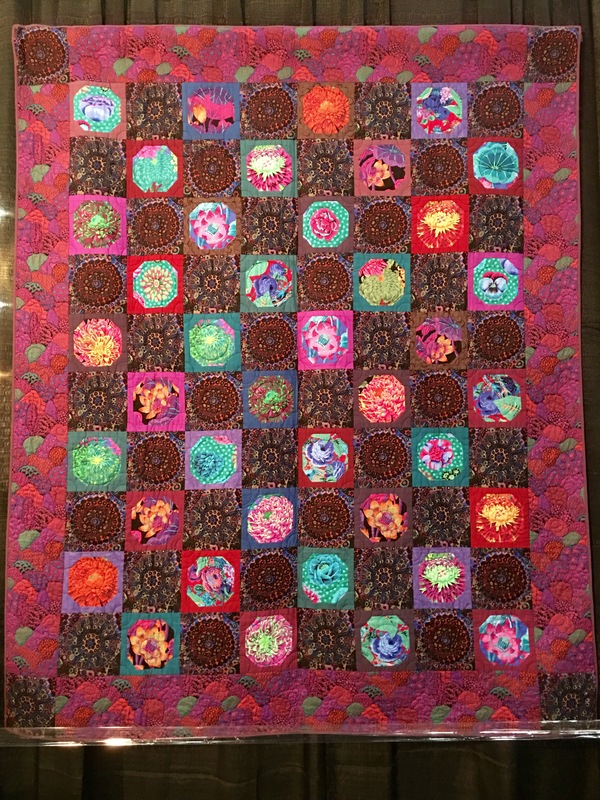 “Millefiore Snowball” was made by Kaffe and Liza and quilted by Judy Irish. Such simple construction but brought to life and made special by the fabric and quilting. Beautiful. 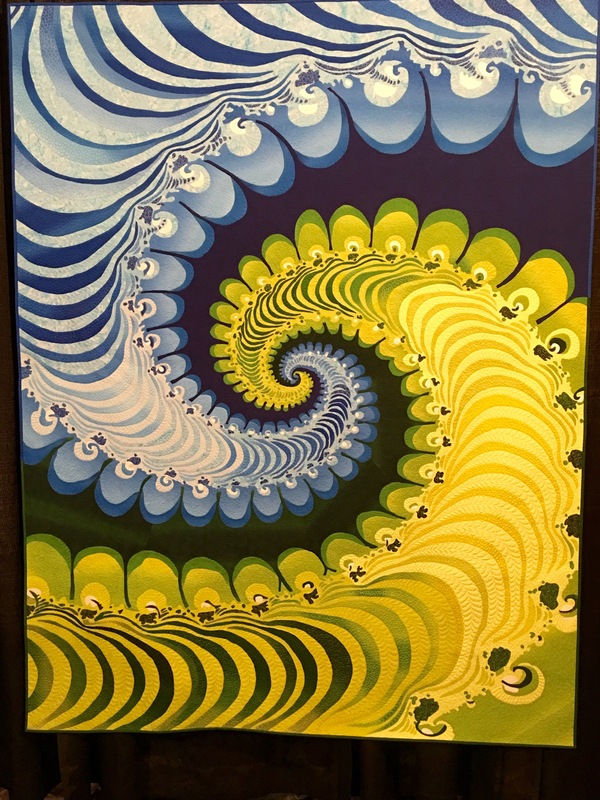 Lastly, “Spring Twist” by Karlyn Bue Lohrenz of Montana celebrates the change of seasons from winter to spring. Clever and beautiful. There were hundreds of other fabulous quilts but we only had a day. I am so glad I got to see these. It was fun to walk the show with Amy and see what we sparked to together and independently. 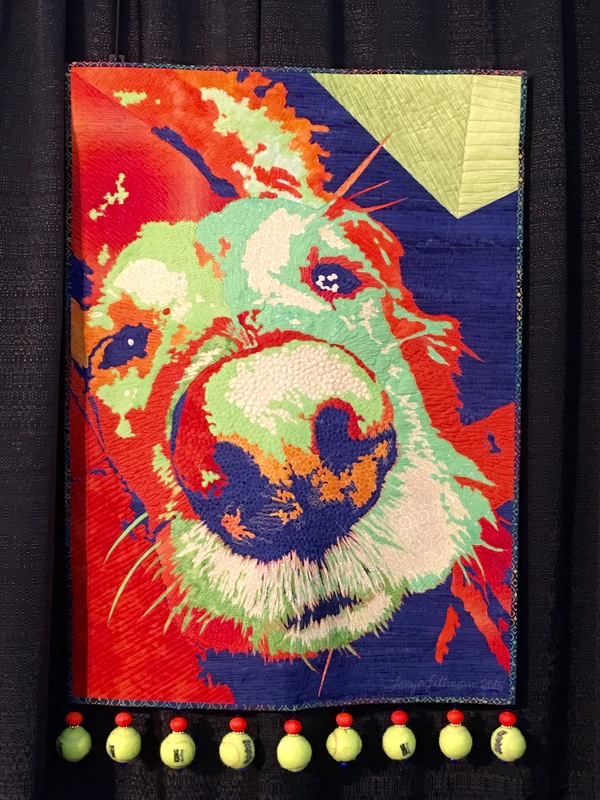 I left feeling inspired and ready to finish my QuiltCon submissions! And I can’t wait until next year!